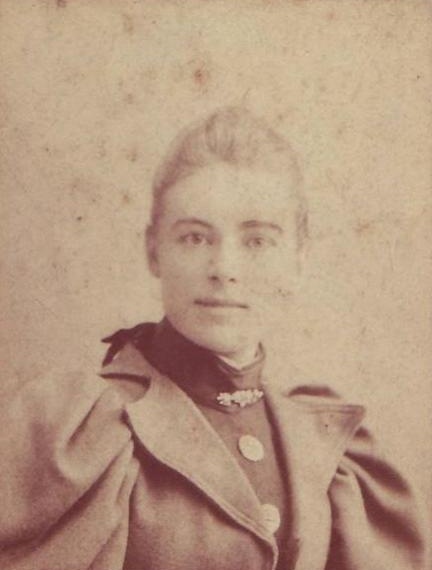 Blanche Moody was born on 10th November 1866 at 17 London Street, Basingstoke, the daughter of James and Elizabeth Moody. 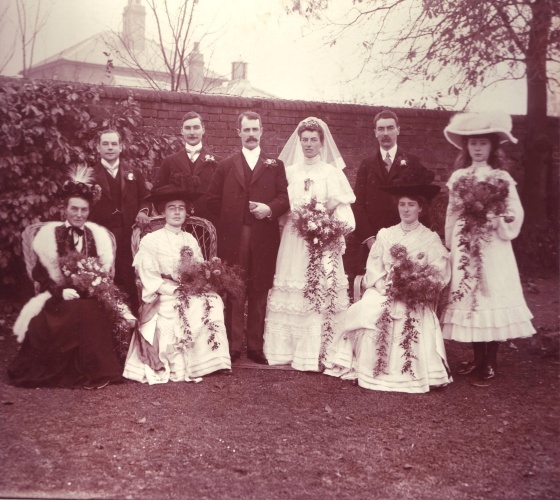 In the 1881 census she is at Wilton House Boarding School in Reading at 173 & 175 Kings Road. The schoolmistresses were Miss Sarah White and her niece Miss Marion White along with an English Governess and a French Governess. There were 20 female scholars and 2 male. Gerald Powell was the son of Henry Mills Powell and Sarah, born 25th August 1868 at 20/22 London Street, almost exactly opposite 17 London Street. The Powell family were very musical, owning a music shop and warehouse. Gerald was a sucessful horse dealer, living in France, and had previously married a frenchwoman, Celine Saene. 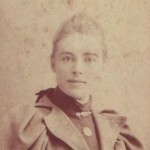 They had a daughter in 1897, Denise Marie Powell. Gerald, Celine and Denise lived in Lille, and then around the turn of the century Celine died. Blanche married Gerald in 1904 and Nancy Powell was born on 12th November 1906. In 1909 they moved to Nogent-le-Rotrou in the Perche district. Denise went to Wilton House School on Parkside Road in Reading, which was run by Miss Marion White. You can read more about Wilton House School in the ‘Teaching’ section of the website. 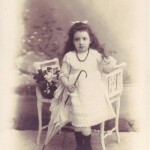 Denise spent her holidays staying with relatives in and around Basingstoke and London, also returning to France often. During this time she communicated with her father and Blanche with numerous postcards, and between 1904 and 1912 she had a collection of over 200 postcards sent to her. During the First World War Gerald, Blanche, Denise and Nancy returned to Basingstoke, incase the Germans invaded. During those four years Denise taught French in a private school in Beaconsfield. After the War they all returned to France and Denise went back to work there, living away from home. 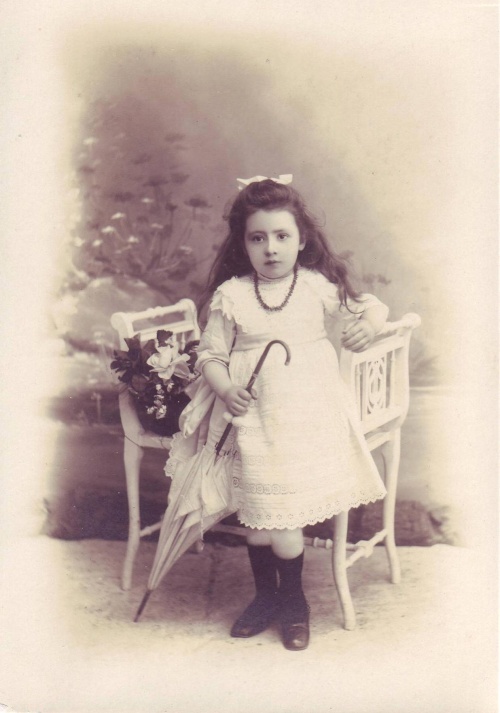 Denise died on March 30th 1924 at West Moors. She was 27 years old. 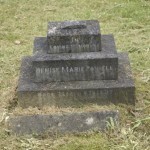 She is buried at Worting Road Cemetery, Basingstoke. 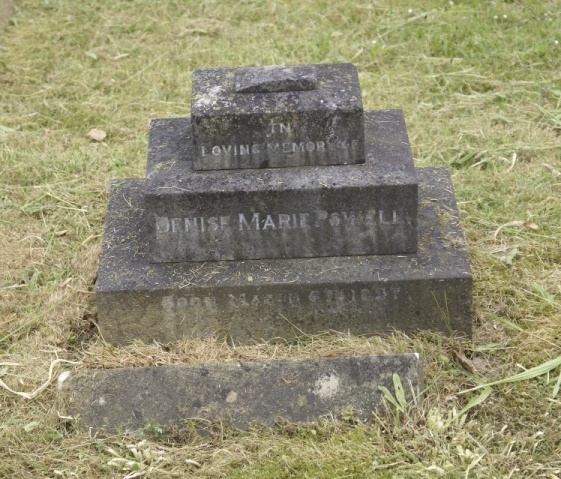 Unfortunately her gravestone was vandelised several years ago and the cross broken. Gerald, Blanche and Nancy Powell continued living in Nogent-le-Rotrou until June 1940, when the Germans invaded France. They escaped to England and although they never went back to live in France after the war, they visited often. Gerald Powell died on 16th March 1947 aged 78. 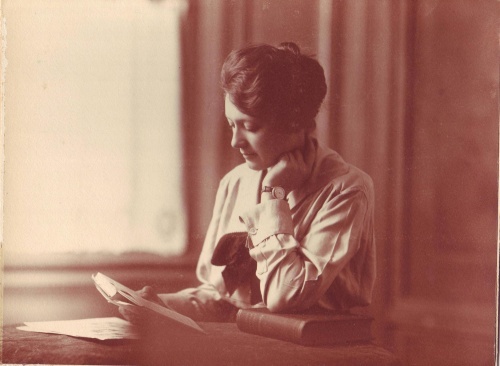 Blanche died on 4th September 1949 aged 82. Both Gerald and Blanche are buried in Worting Road Cemetery. Nancy lived for the remainder of her life in Basingstoke, just a few streets away from Fairholme, the family home. She died on 16th January 1996 aged 89.